Julie Moss is planning to run the 2017 Ironman World Championships next week -- and aiming to beat the time that placed her second in 1982. Even if you don't know the name Julie Moss, you've probably seen the video. In 1982, it was her dramatic crawl to the Ironman finish line on national TV that made the race famous (and infamous). The Ironman -- with its 2.4-mile swim, 112-mile bike ride and 26.2 mile run -- was only in its fourth year, and the 23-year-old graduate student at Cal Poly had chosen to complete it as part of her research for her senior thesis project in exercise physiology. In front of ABC's "Wide World of Sports" TV crew, Moss found herself in the lead. Then, just yards from the finish, her legs collapsed. She pushed herself up from the ground and fell again and again, eventually crawling across the line, as Kathleen McCartney passed her for the win. Julie Moss is a legend in Ironman circles. It was the first time most people had ever heard of the race in Kailua-Kona, Hawaii, much less seen it in such detail, and it's still the first thing most think of when the world championship comes around each year. "I got to really be a pioneer in the sport," Moss said in an interview in late September. She went on to race professionally in the new sport, living in her hometown of San Diego with all the other new pro triathletes. They trained and raced. She married Mark Allen, another legendary Ironman winner of the time. She did media appearances and talks and raced Kona countless times. "The hardest part was living up to the image of who this person is," said Lisette Whitaker, one of her oldest friends, who's known her since their days together at Cal Poly. Eventually, Moss had a son and stepped away from triathlon. She grappled with the legacy her senior thesis had created. 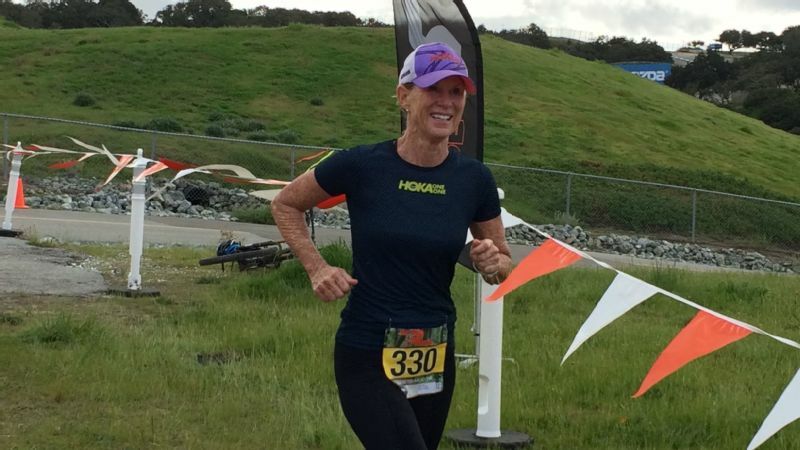 Now, all these years later, she's back -- and she says that at 58, she's faster and fitter than ever, training 35 hours a week, with an hour of yoga every day. It took 30 years to really understand the impact it had on other people. "She's in amazing shape, not just physical, but mental," Whitaker said. "She feels like she's got all the pieces together now." 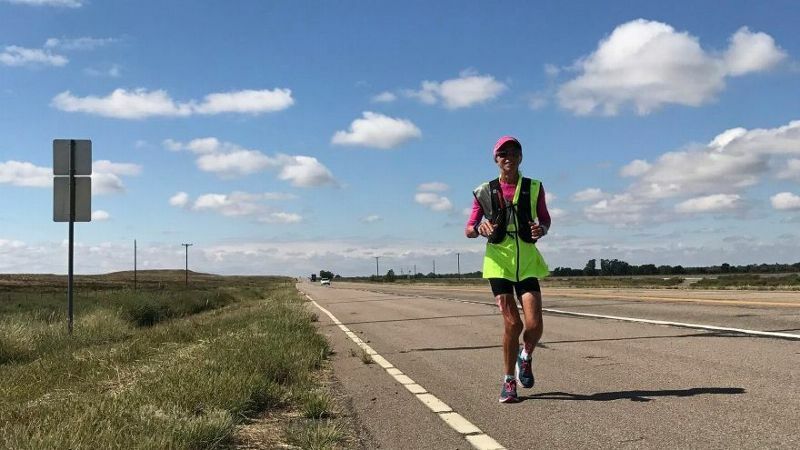 Moss will return to the Big Island of Hawaii this year, to compete as an amateur in the age-group race at the Ironman World Championships on Oct. 14. Her goal? To beat the time (11 hours, 10 minutes, 9 seconds) that made her famous 35 years ago. She wants to stand on her age group podium the day after the race, on her 59th birthday. "It took 30 years to really understand the impact it had on other people," she said. Even now, young athletes will come up to her and tell her they saw the video on YouTube. Watching her crawl across the finish is what got them interested in the incredible challenge of the sport. Now, she's found peace and happiness in the community, the camaraderie, the race and the sport. "This is my love letter to this race and that island," she said. 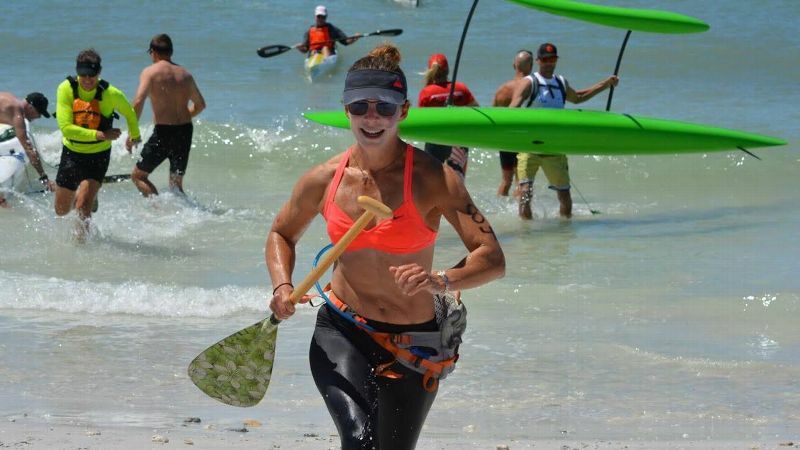 While she's stayed involved in the sport, returning to Kona to race -- really race -- was a different thing. She's come back at different points in her life, when she was looking for something to "redefine me at any age," she said. She and McCartney raced for the 25th anniversary and the 30th. Those races didn't go how she wanted, though, and she didn't want something less than her best to be her last race in Kona. "If you had had to qualify in 1982, I wouldn't have had the opportunity," she said. The sport has changed since then -- it has grown, become much more mainstream. Kona is now a massive event, with over 2,000 athletes and countless sponsors. (There were 12 finishers in the first race in 1978.) But at its heart, Moss said, it's still the same. "There's still elements that speak to the soul." Whitaker will be with Moss in Kona, cheering her on. Moss' brother and son, who just did his first Ironman race, are coming too. They'll be cheering for a legend -- at any age. "When I'm training I feel like I'm 23," said Moss. And she's racing that fast too.